Delilah is a Quarter Horse mare born in 1997. 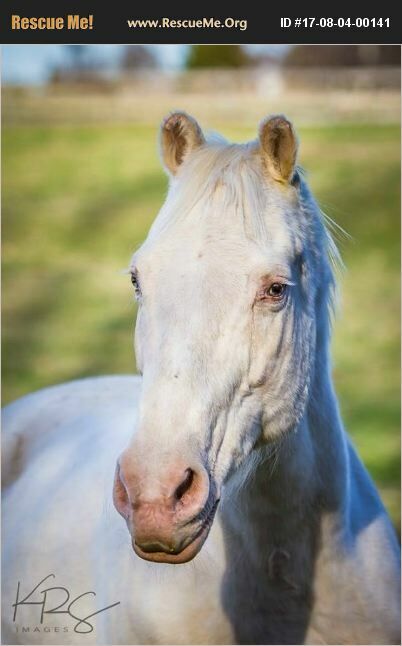 She is a beautiful cremello color with a possible champagne gene with green/blue eyes and stands at 15.2 hands. Delilah was found abandoned along with four other horses and taken in by Freedom Hill Horse Rescue (FHHR) in early 2017. She has rounded ears due to frostbite on the tips earlier in her life. Delilah has past western riding experience. Delilah can be boss mare in some herd situations. She stands well for the vet, farrier and does well being trailered. Delilah would be best suited for light riding.